Listeners experiencing poor or no reception on BBC Radio 5 Live in southwestern England are being advised to switch to digital platforms, as essential work takes place at Devon's Start Point transmitter site due to a major structural problem. As reported last week by a516digital, one of the masts at the site on the South Devon coast has bent following the breakage of a supporting cable. Currently only BBC Radio 5 Live broadcasts from Start Point, on 693kHz. 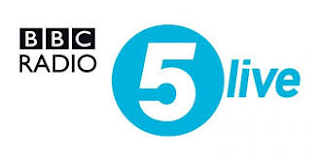 Now work to remove the dangerously bending mast has resulted in the total shutdown of BBC Radio 5 Live from the site, affecting Medium Wave reception in parts of southwestern England. According to BBC Reception, this work is due to take up to seven hours on Thursday 21st January, with a subsequent shutdown of up to six hours between 23:00 the same evening and 06:00 on Friday 22nd January. But the work won't be able to return services to normal, with the BBC warning listeners that "following the work the transmitter will return to service at reduced power which will mean that listeners will notice a poorer quality signal and possibly more interference." Any improvement is not likely to occur for a few months. As a result, listeners are being advised to try out BBC Radio 5 Live on DAB digital radio or other digital platforms. DAB coverage along the coast in this area was noticeably improved during 2015 following the addition of new transmitter sites as part of a BBC scheme to boost national DAB coverage to 97% of the population. Some listeners may still be able to receive an AM signal on 909kHz from neighbouring transmitter sites covering parts of southwestern England, notably from Clevedon, south of Bristol. Update: the affected mast is now down - reduced power service to commence. Strange how it's always the BBC services that play up? Non-BBC radio services do not broadcast from this site.